Something big from Manchester is coming to Singapore. And no, I’m not talking about Wayne Rooney or Carlos Tévez. 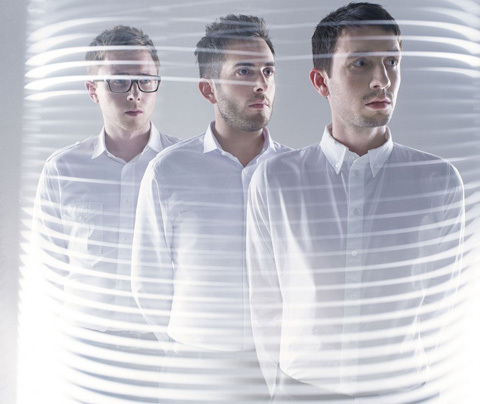 Rather it’s the next big music act to come from the northwestern county – Delphic. For one night only on August 11 at Zouk, the band is set to throw down their blend of alternative dance music that has garnered much acclaim since the release of their debut “Acolyte” early this year. Sounding equal part New Order and Pet Shop Boys yet exhilaratingly fresh and intense, Delphic is certainly one of the acts to watch in the coming years. The Mancunian trio will be fresh off their tour in Japan (they played Summersonic no less) and Hong Kong and you can expect nothing less than a spectacle as the band work through singles like “Counterpoint”, “Doubt” and “This Momentary”. But don’t just take my word for it, check out the band’s impassioned performance of “Counterpoint” in the video below. Tickets are priced at $45 and can be purchased at the door. Doors open at 1930 with the Delphic set slated to start at 2030. For ticketing enquiries, email ticketing@kittywurecords.com or call 8359 8746.